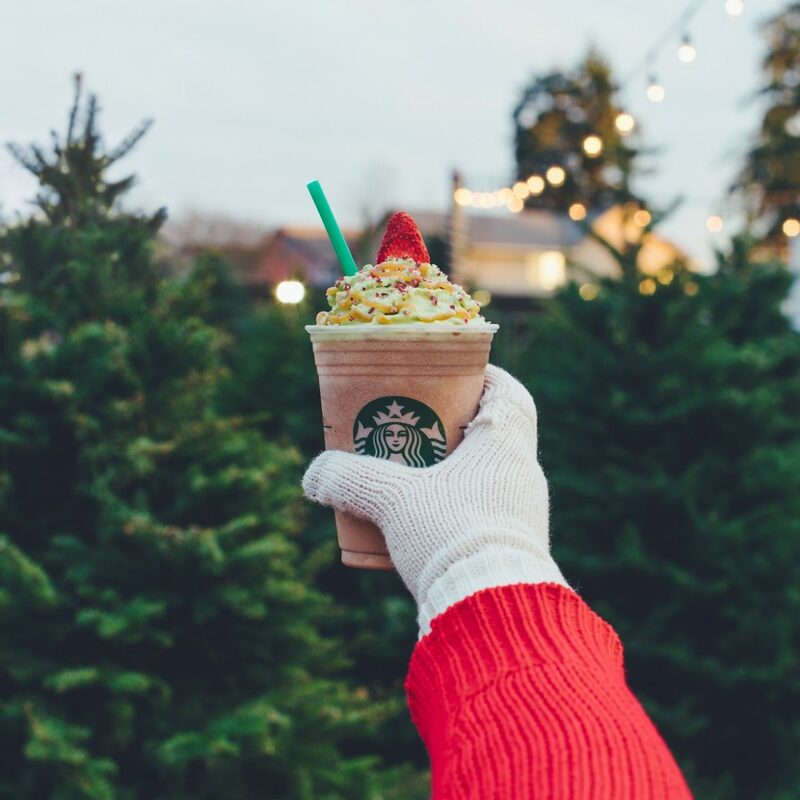 Starting Thursday December 7th, you can order a “Christmas Tree Frappuccino”! Enjoy this new drink recipe with your holiday shopping, handwriting Christmas cards, and in cold winter weather! 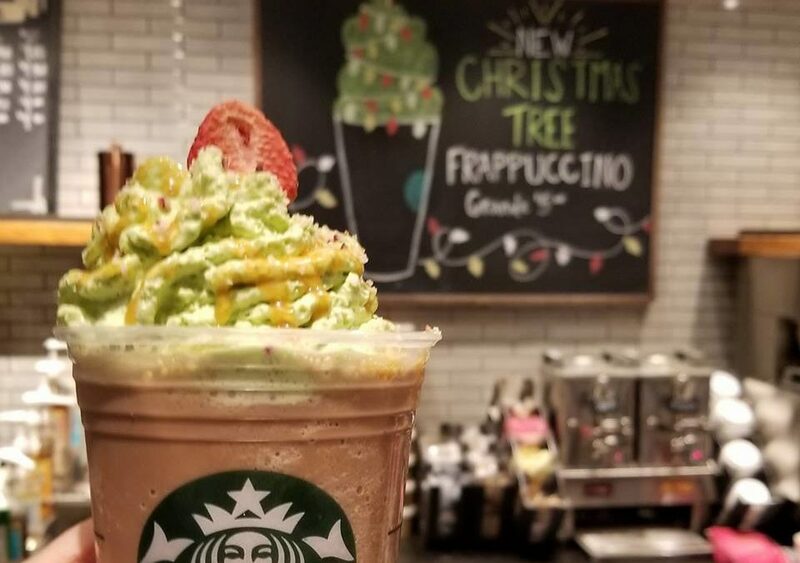 It is a peppermint mocha creme Frappuccino (meaning there’s no coffee in it) and it is topped with a majestic Matcha whipped cream “tree” that is decorated with caramel drizzle garland, candied cranberry ornaments and finished with a strawberry tree topper. You might be worried if the matcha flavor messes up the flavor of the peppermint mocha, but not to worry, it’s very very subtle. The cranberry topping is the delicious topping currently offered on the Toasted White Chocolate Mocha – a delicious candied cranberry sugar. 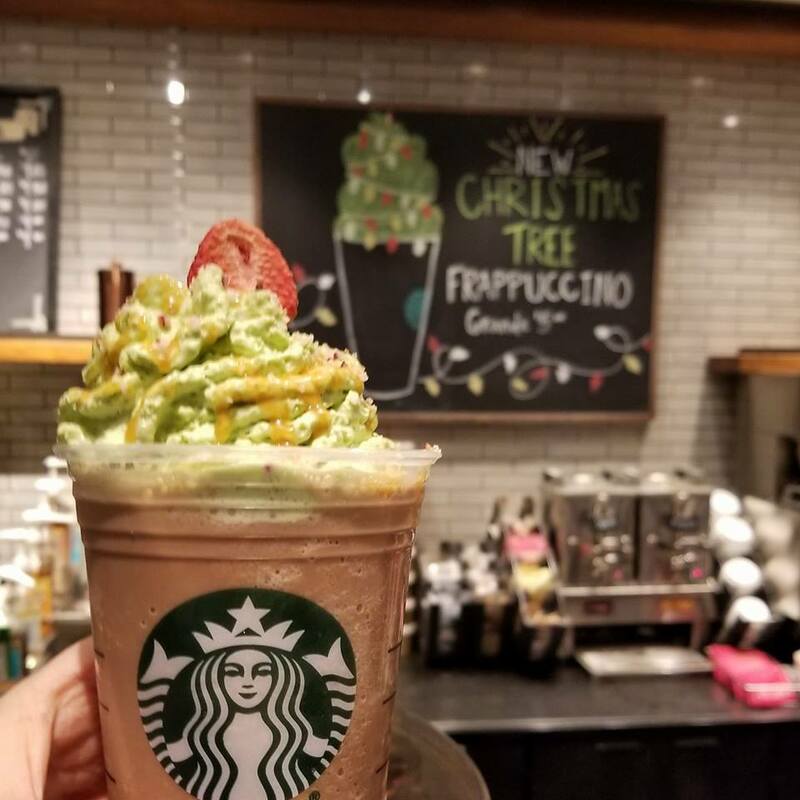 This drink is the good fun of a peppermint mocha Frappuccino (without coffee) in the presentation reminiscent of a beautiful holiday tree! This is a limited time offering available between December 7th and the 11th, 2017 at participating Starbucks locations! Image courtesy of Starbucks newsroom. Melody’s Starbucks Photos – The Best of November’s Starbucks Photos. Crap like the Unicorn and the Christmas tree is why it takes 15 to 30 minutes to get a brewed coffee. Sometimes the line at the drive through is all the way around the store. On my way to work, I don’t always have 30 minutes to kill sitting in my car or waiting in line in the store. The baristas probably spend at least 5 minutes putting together just one of these so called specialty items.